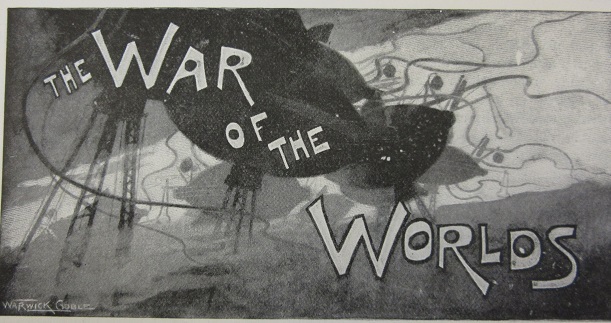 These extracts come from the War of the Worlds, by H.G. Wells. Set in real locations in and around Woking and London Ordnance Survey and other maps are used to show the locations of parts of the book. 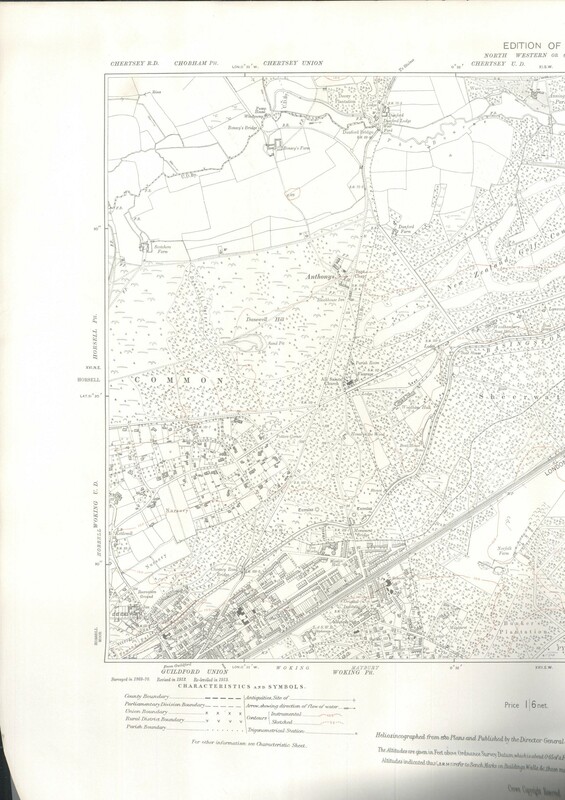 The 6″ sheet, Surrey XVI N.W., by the Ordnance Survey, dated 1920. This is the western part of Horsell Common. The map is sufficiently detailed to show the different types of trees planted. The pine-woods into which the second cylinder fell would be similar to Coxhill Green. ‘A few seconds after midnight a crowd in the Chertsey road, Woking, saw a star fall from heaven into the pine-woods to the north-west. It had a greenish colour and caused a silent brightness like summer lightning. This was the second cylinder’. 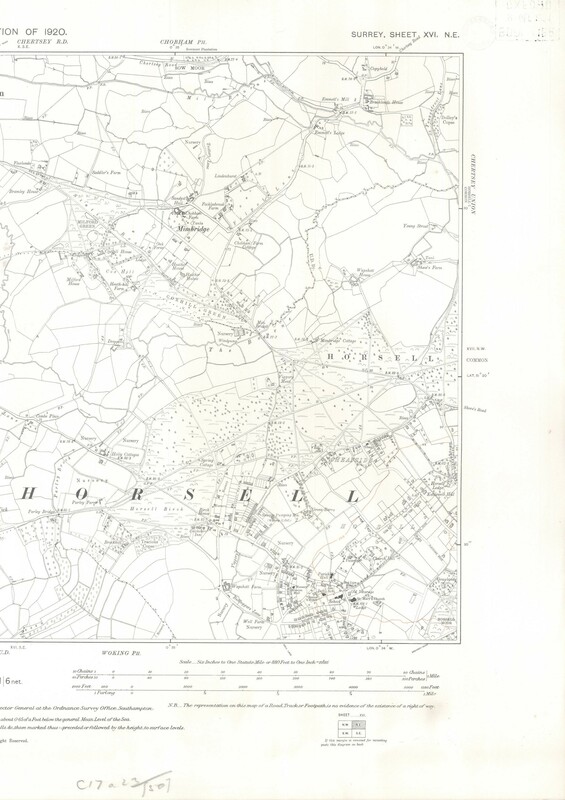 The eastern half of Horsell Common, from Surrey XVII N.W., dated 1920. 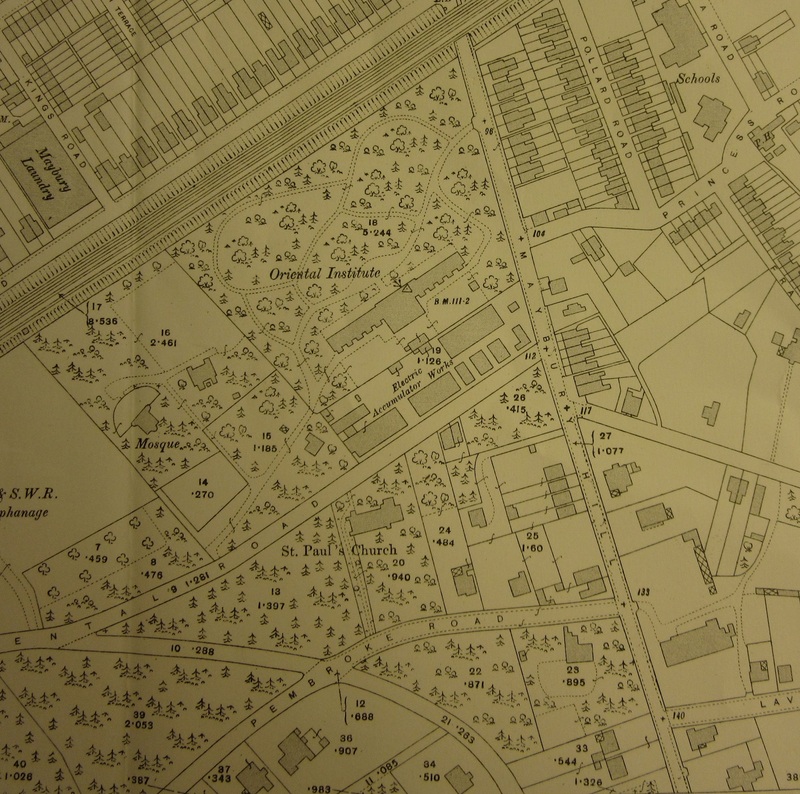 On this map places in the text; the Chertsey Road leading north out of Woking, the Common itself and the Oriental College can be seen. 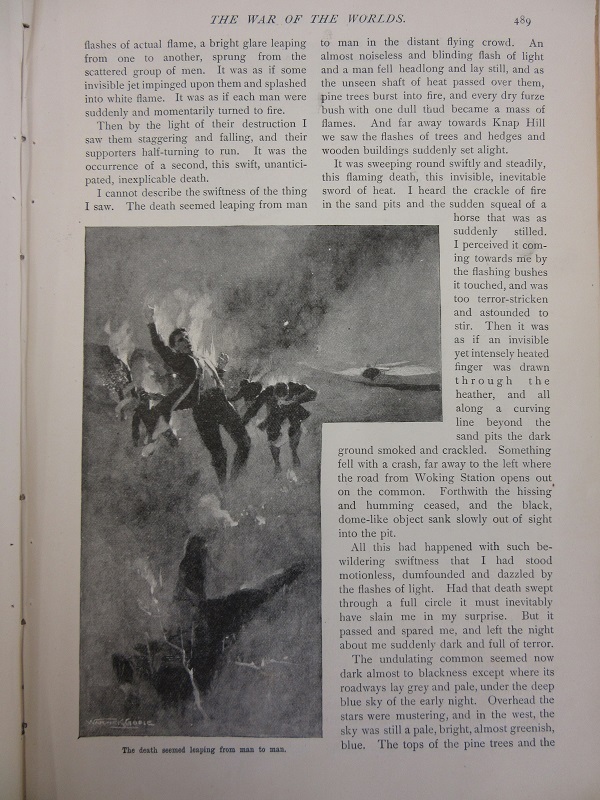 ‘About six in the evening, as I sat at tea with my wife in the summer-house …I heard a muffled detonation from the common, and immediately after a gust of firing. Close on the heels of that came a violent, rattling crash quite close to us, that shook the ground; and, starting out upon the lawn, I saw the tops of the trees about the Oriental College burst into smoky red flame, and the tower of the little church beside it slide down into ruin. The pinnacle of the mosque had vanished, and the roofline of the college itself looked as if a hundred-ton gun had worked upon it. One of our chimneys cracked as if a shot had hit it, flew, and a piece of it came clattering down the tiles…my wife and I stood amazed. Then I realized that the crest of Maybury Hill must be within range of the Martians’ Heat-Ray now the college was cleared out of the way’. The Oriental College, with mosque and church with Maybury to the south, from sheet Surrey XVII.5 of the Ordnance Survey 1:2,500 County Series, 1914. 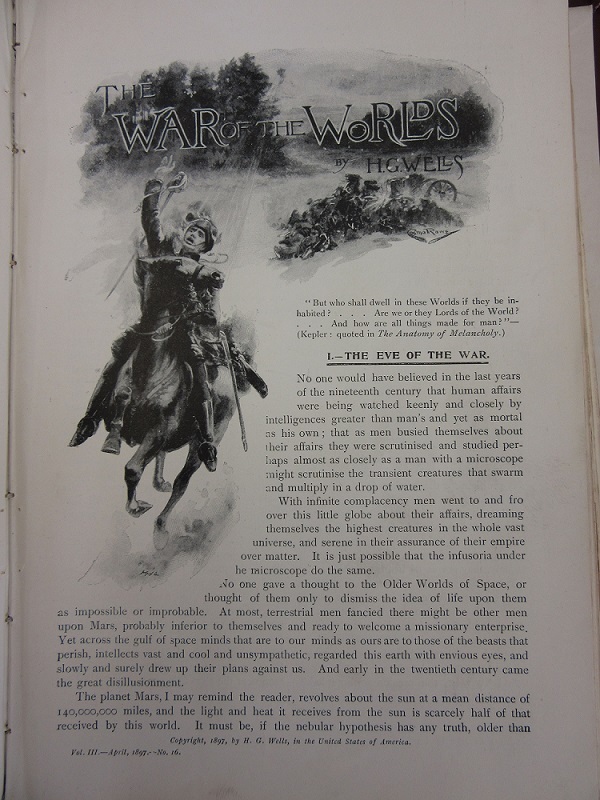 These extracts come from the War of the Worlds, by H.G. Wells. 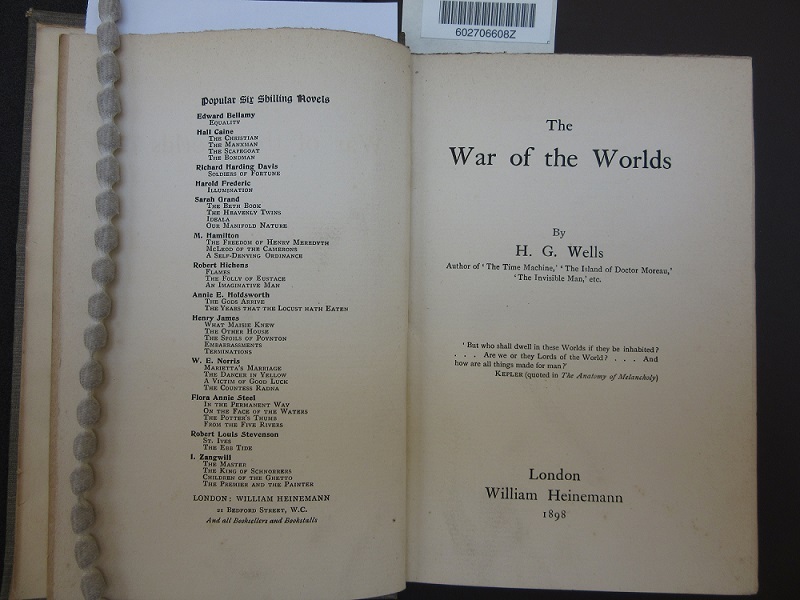 First published in 1898 after appearing in magazine form a year earlier it is generally regarded as one of the first books of alien invasion. 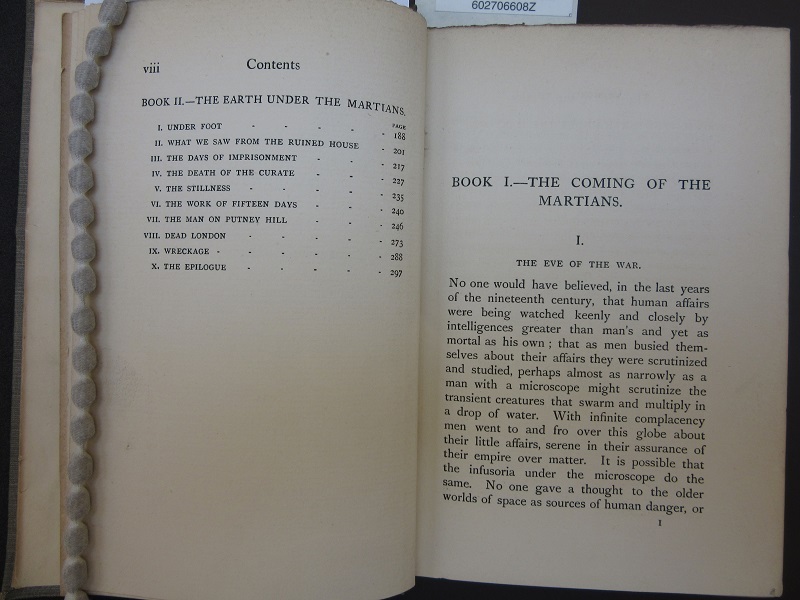 The title and first pages from the first edition of the book, published in 1898 by William Heinmann, Walpole e.746. This entry was posted in Fantasy on 24 May 2016 by stuart. A mixture of post-war affluence and cheap oil meant that by the mid-1950s the majority of American families owned their own car. Oil companies such as Esso, Shell and Associated Oil produced free highway maps with covers that portrayed an idyllic way of life made possible by the motor car, selling the dream of the open road to those mobile enough to seek it out. 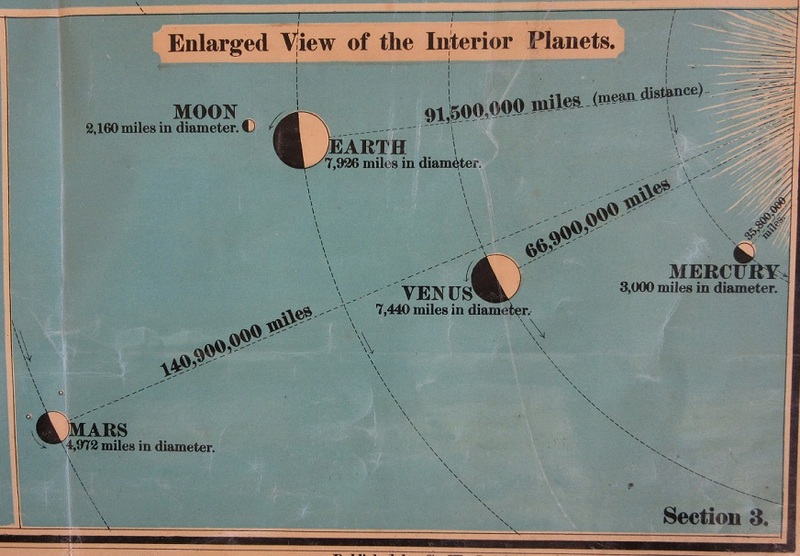 These images come from maps produced between 1950 and 1965. This entry was posted in Cartography on 11 May 2016 by stuart. 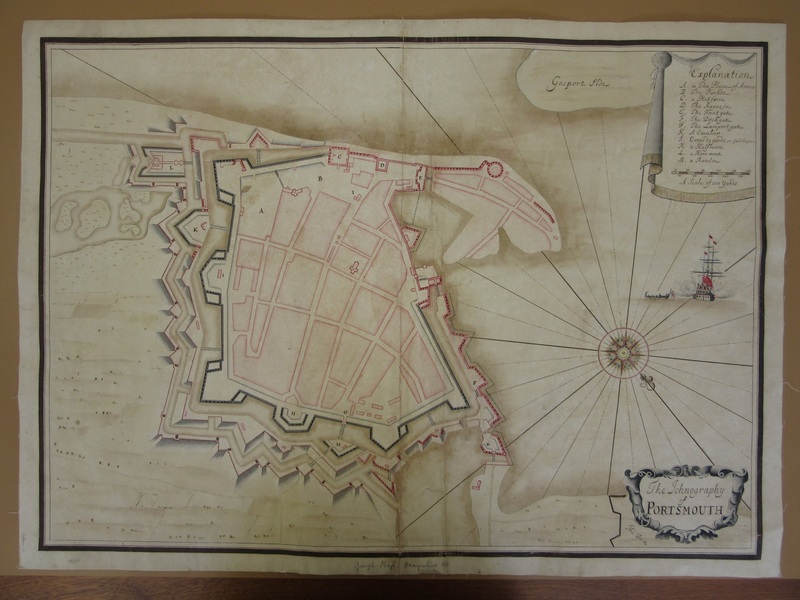 Renaissance fortifications map well. Clear lines, often in a symmetrical pattern, stand-out amongst any other topographic detail on display. Such beauty of design has come down to us at a cost of necessity though. Plans were born out of the need to counter the threat from a new type of warfare as cannon balls wrecked havoc on the old castle walls. The radical design change from castle to fort came about in fifteenth century Italy, when French troops involved in the Great Italian Wars used cannon against castles. 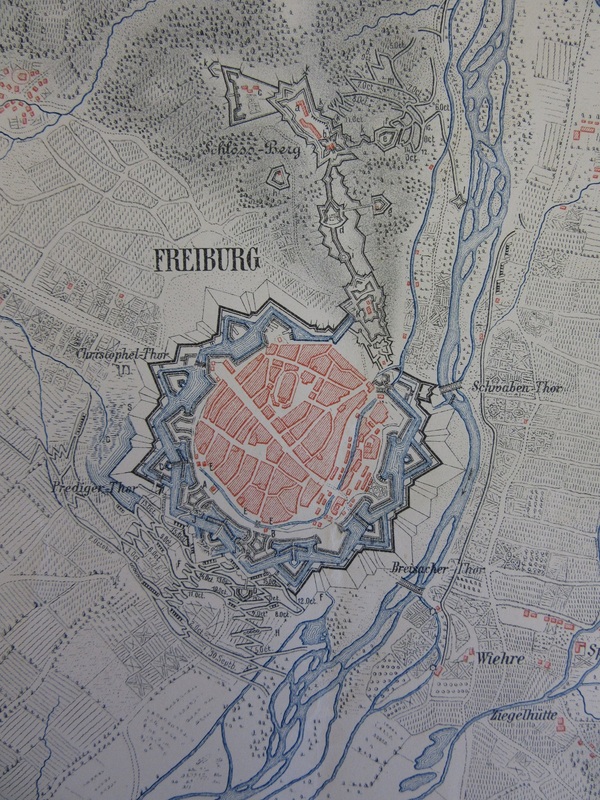 When older fortifications crumbled against the onslaught Italian engineers, including Michelangelo in Florence, designed new fortifications which soon became the standard across Europe. The sharp angles and triangular bastions of the new design deflected incoming artillery, and gave the new structures their name, Star Forts. 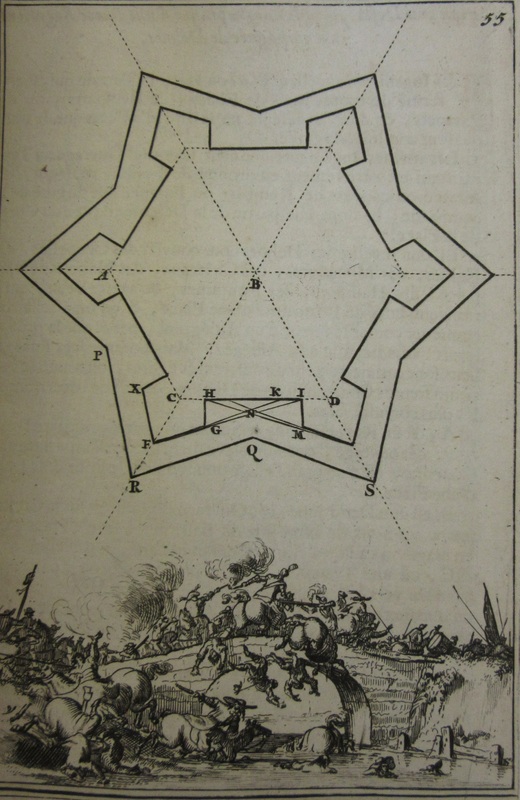 With their angled walls and triangular bastions star forts also had the additional benefit of funnelling attacking troops into narrow spaces where enfilading fire rained down on them from within the fort. With these angled walls there was now no longer any place in which defending troops couldn’t direct fire. With the new design of the star fort architects and engineers no longer needed to make the best of the landscape. Previously hills were used to build castles on, the steep slopes were hard to attack and with the only weapon available before the cannon being the arrow shot from a bow the high walls and steep sides made defence easy. Now forts could be placed anywhere, making good use of the commerce and transport that rivers brought. Cities soon grew in and alongside the forts. One of the main elements to the new design was the use of low walls, giving less of an area for cannon balls to strike. Earthen banks were thrown up in front of the walls to deaden the impact of artillery but this would have, in theory, made it easier for troops to break into the fort. To counteract this ditches were dug in front of the banks, creating a steep slope and thus slowing down any advance. 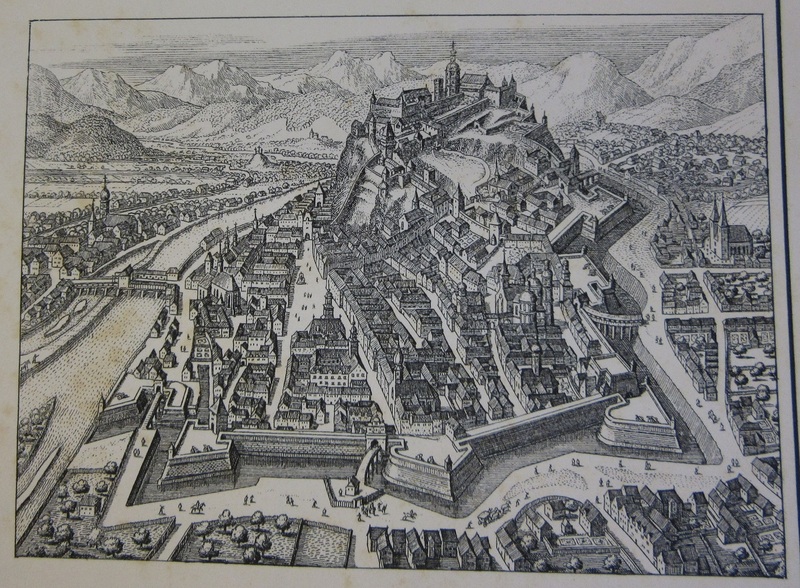 In the picture below, of Graz in Austria shows the ditches and banks used in the construction of a fort (image from Graphische Beilagen…). 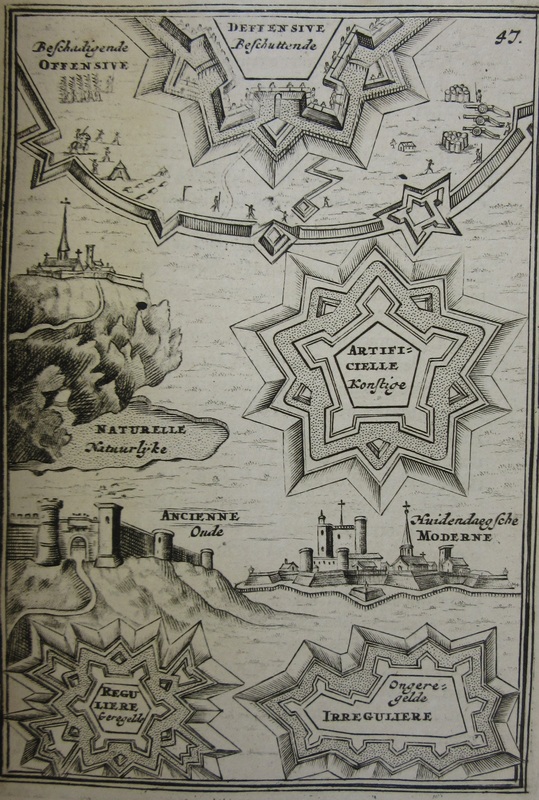 This radical new approach to the construction of defences was supported by a growth in literature about the design of the fortifications. 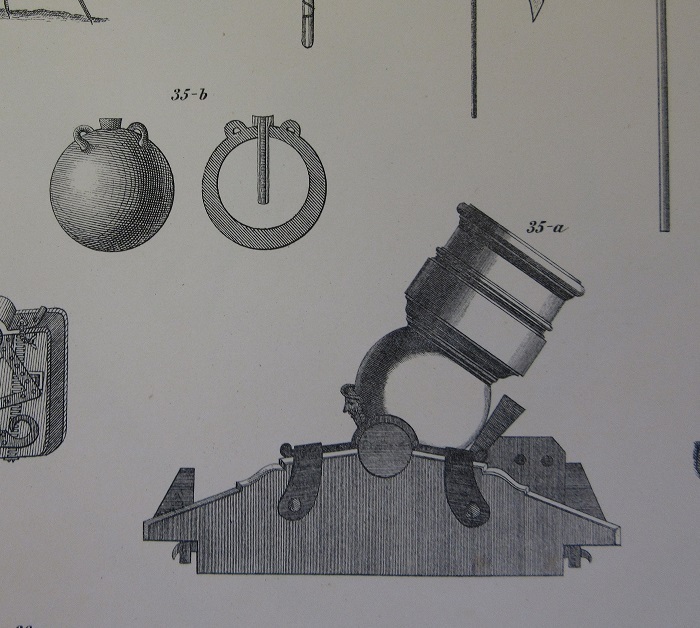 Focusing on the geometry of the design, the engineering of the construction and the military benefits of attack and defence the publications were one of the many sciences which blossomed at the time of the Renaissance. 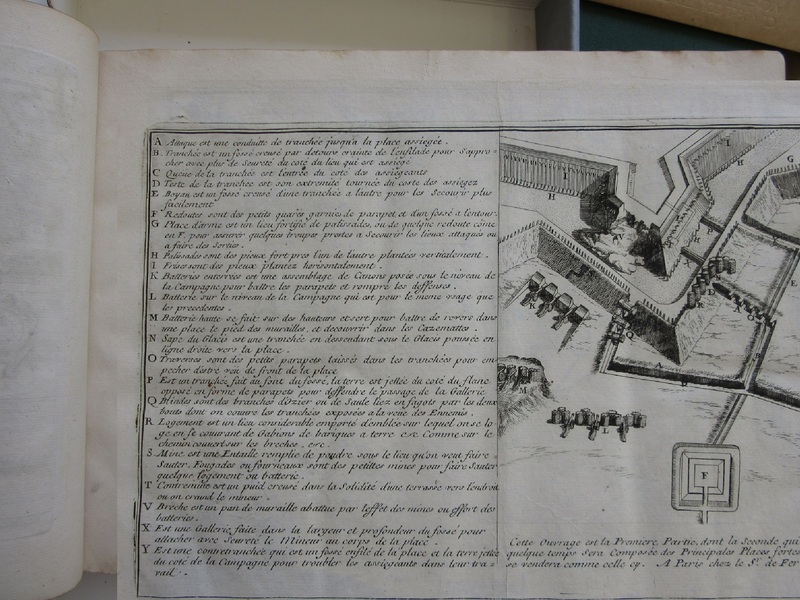 The next two images come from Les Travaux de Mars ou l’art de Guerre’, by Allain Manesson Mallet, published in France in 1696. The first shows the different designs now available to the military engineer, and interestingly compares modern to ancient fortifications. The second is a lesson in geometry, with a timely reminder underneath of what all this abstract paper work leads to. 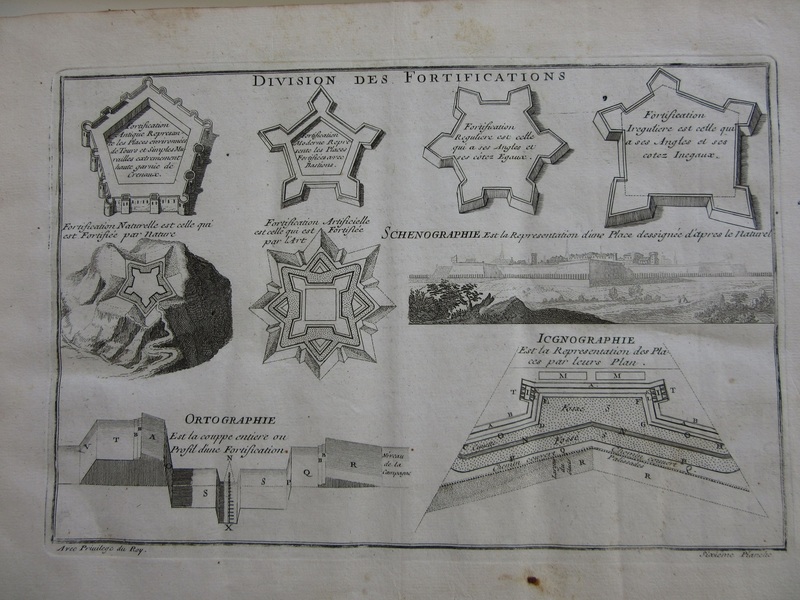 This image come from Introduction a’ la Fortification, by Nicolas de Fer in Paris in 1690, again showing designs of fortifications. Ichnography is another term for a ground plan. 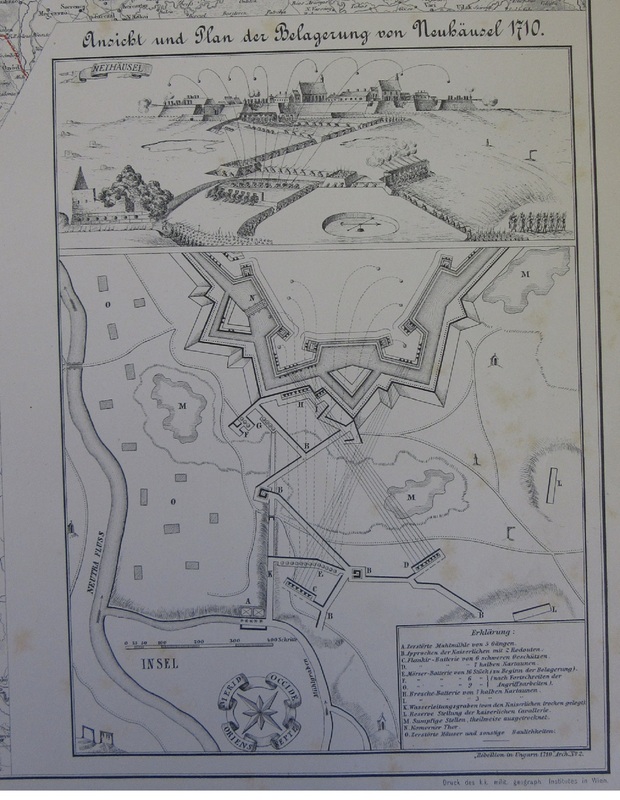 The map is a very good example of a coastal plan of the time, featuring a compass rose and naval scene, and to add to this blog, particularly fine defensive walls. This entry was posted in Cartography, History, Military on 4 May 2016 by stuart.